Will you be staying in Prague for a month or a year soon, and you’d like to get accommodation ahead of time on the metropolis’s pe­riphery to avoid the noisy centre? 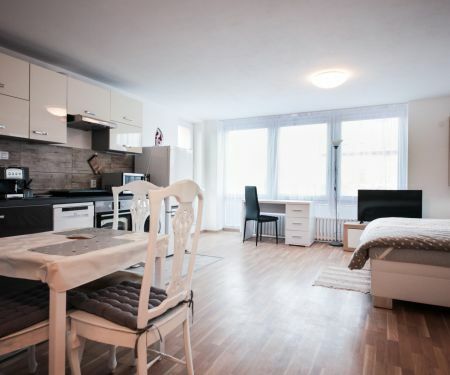 Pick a rental apartment in Prague 20 on Flatio. With a map from Flatio, you know what rental offers there are in Prague 20 at first glance. You’re going to Prague soon and you still haven’t found suitable accommodation for the length of your month or year-long visit of the capital of the Czech Republic? Check out the newest rental apartments and never miss another great offer ever again. Get a rental apartment in Prague 20 easily with Flatio – just pick one based on virtual tours and request its reservation. You’ll know if it’s yours in just 24 hours.